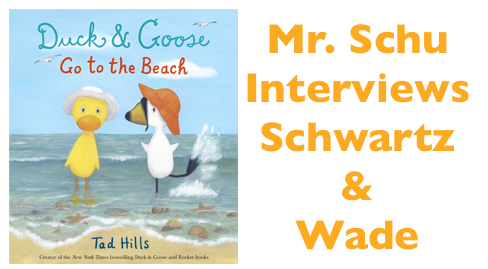 Margie Myers-Culver, Colby Sharp, and I are celebrating Tad Hills' Duck and Goose Go to the Beach. I hope you have a blast jumping from blog to blog. Ready, set, start reading! Thank you for publishing Tad Hills’ picture books! He visited my school library shortly after Rocket Writes a Story came out. 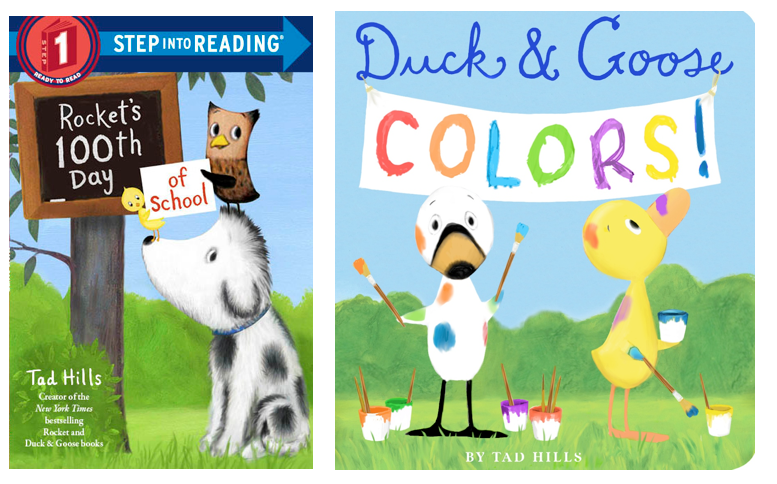 My students and I are huge fans of Tad, Rocket, Duck, and Goose. Scenario: You’re shopping at Books of Wonder when you spot a family looking at the picture-book section. You decide to tell them about Duck and Goose Go to the Beach. Ready, set, booktalk! Schwartz and Wade: Have you ever been really excited about going somewhere new but also really scared? Here’s a picture book about exactly that. Duck wants to have an adventure. Goose doesn’t. After all, why would they leave the meadow, where they are perfectly happy? But when Goose does agree to join Duck, and they find themselves at the beach, he loves it! And guess who doesn’t? The sand’s too hot on Duck’s feet, the roar of the waves is too loud. Duck just wants to go back home. As is true with every Duck and Goose book, you’re sure to recognize yourself in these characters, and come to understand that it’s good to be open to new adventures--but also that it sure is nice to go home. What’s next for Rocket, Duck, and Goose? Schwartz and Wade: In July, 2014 we are publishing Tad’s first leveled reader--Drop it, Rocket! It’s a Level 1 Step-Into-Reading title. Then five months later in December 2014, we are publishing a second--Rocket’s 100th Day of School. Leveled readers feel like a perfect step for the next Rocket books. On the Duck & Goose front, we have a new board book about colors in the works for Spring 2015, in time for Easter. What is one thing that you want everyone reading this post to know about your imprint? I always look forward to when Publishers Weekly announces your forthcoming list. It is evident that you believe in the power and importance of quality picture books. 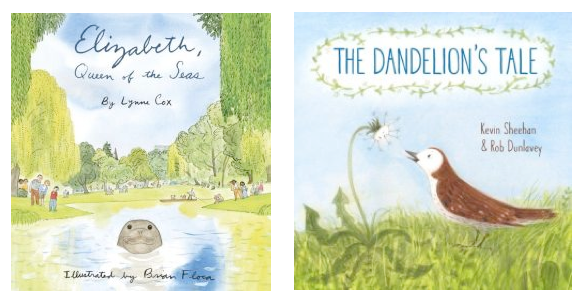 Please tell us about three picture books from your spring list. 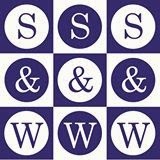 Schwartz and Wade: There are so many books we love that are coming along, so this is a challenge, but here you go. In addition to Duck & Goose Go to the Beach in spring, we have Sparky! a book about a girl and her unlikely new pet, written by Jenny Offill and illustrated by new picture book illustrator, Chris Appelhans; The Dandelion’s Tale, a moving story about the importance of storytelling by debut author Kevin Sheehan and debut illustrator Rob Dunlavey; and Elizabeth, Queen of the Seas, based on a true story about an elephant seal by extreme swimmer Lynne Cox and illustrated by this year’s Caldecott medalist, Brian Floca. 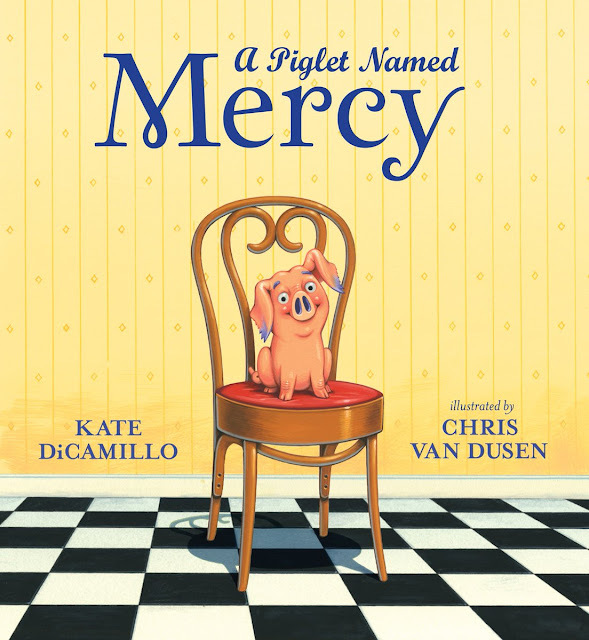 Picture Books are a way for young readers to expand their worlds—to learn about a world outside of their own. Reading is a way for readers to connect with others like themselves, to help them understand themselves better, and to feel less alone. I am giving away one copy of Duck and Goose Go to the Beach. 1. I am giving way one copy of Duck and Goose Go to the Beach. 2. It will run from 3/25 to 11:59 p.m. on 3/27. 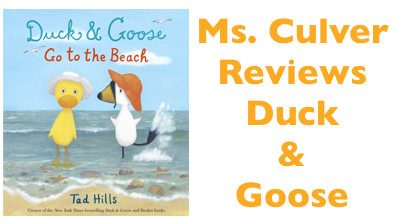 Visit Margie's wonderful blog to read her review of Duck and Goose Go to the Beach. 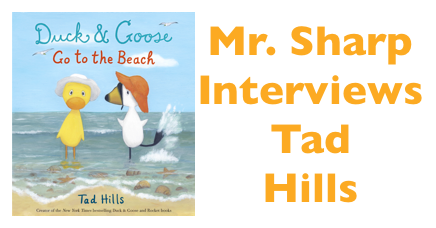 Mr. Colby Sharp interviewed author-illustrator Tad Hills. 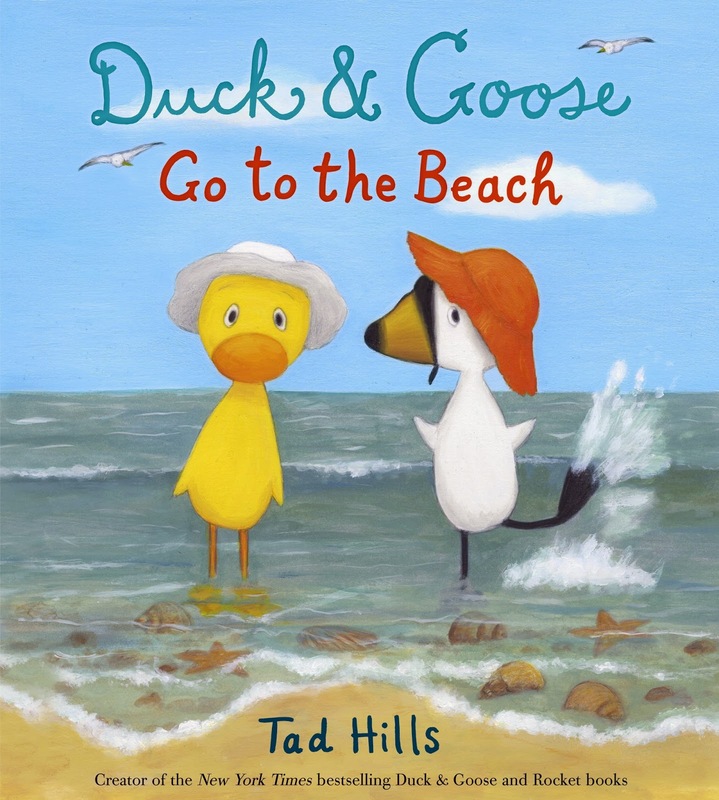 Duck and Goose Go to the Beach will be released on April 8, 2014. Participating in this trifecta is the best. Tad Hills' Duck & Goose books are the absolute best. Those two feathered friends are guaranteed to warm the hearts of every single reader.